J. Hazard. Mater., 332, 140–148, (2017). 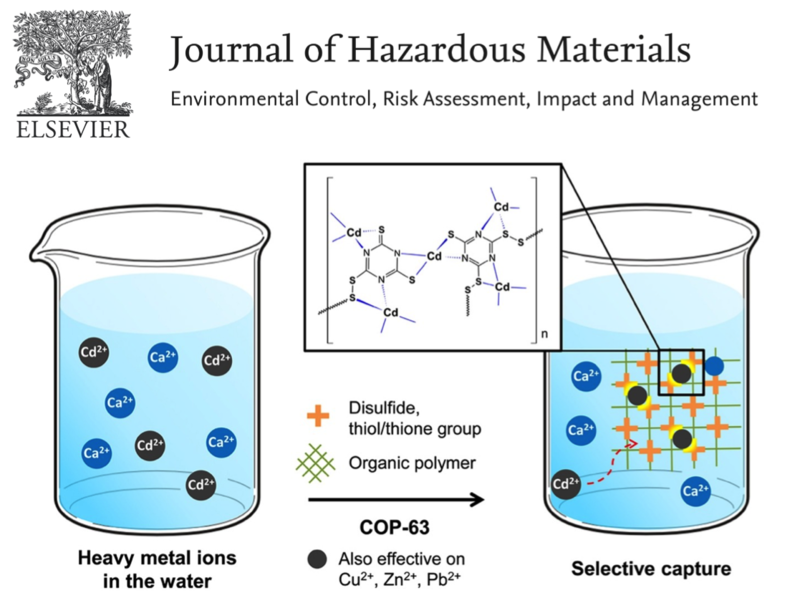 Heavy metal contaminated surface water is one of the oldest pollution problems, which is critical to ecosystems and human health. 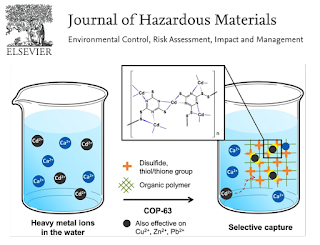 We devised disulfide linked polymer networks and employed as a sorbent for removing heavy metal ions from contaminated water. Although the polymer network material has a moderate surface area, it demonstrated cadmium removal efficiency equivalent to highly porous activated carbon while it showed 16 times faster sorption kinetics compared to activated carbon, owing to the high affinity of cadmium towards disulfide and thiol functionality in the polymer network. The metal sorption mechanism on polymer network was studied by sorption kinetics, effect of pH, and metal complexation. We observed that the metal ions–copper, cadmium, and zinc showed high binding affinity in polymer network, even in the presence of competing cations like calcium in water.